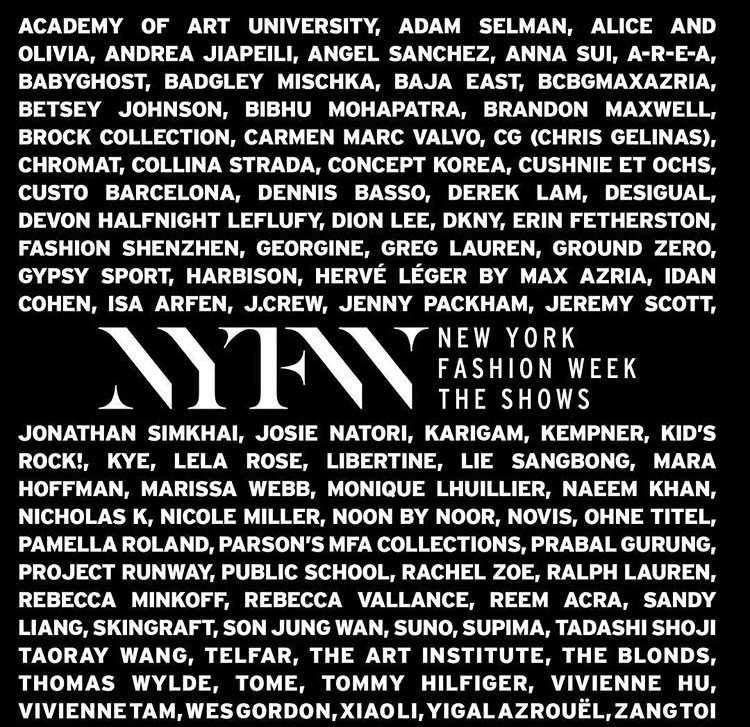 THE NEW NEW YORK FASHION WEEK & LINE UP! After several years of Mercedes Benz Fashion Week taking over the New York fashion scene twice a year, IMG now introduces the Official New York Fashion Week! Taking place on September 10th through the 17th, a full roster of designers will be showing at Skylight Clarkson Square and Skylight Moynihan Station for their Spring 2016 collections! ACADEMY OF ART UNIVERSITY * ALICE AND OLIVIA * ANGEL SANCHEZ * ANNA SUI * BADGLEY MISCHKA * BCBGMAXAZRIA * BETSEY JOHNSON * BIBHU MOHAPATRA * BRANDON MAXWELL * CARMEN MARC VALVO * CONCEPT KOREA * CUSTO BARCELONA * DENNIS BASSO * DEREK LAM * DESIGUAL * DKNY * ERIN FETHERSTON * FASHION SHENZHEN * GEORGINE * GREG LAUREN * GROUND ZERO * HERVÉ LÉGER BY MAX AZRIA * IDAN COHEN * J.CREW * JENNY PACKHAM * JEREMY SCOTT presented by MADE * JOSIE NATORI * KARIGAM * KEMPNER * KID’S ROCK! * KYE * LELA ROSE * LIBERTINE * LIE SANGBONG * MARA HOFFMAN * MONIQUE LHUILLIER * NAEEM KHAN * NICHOLAS K * NICOLE MILLER * NOON BY NOOR * NOVIS * OHNE TITEL * PAMELLA ROLAND * PRABAL GURUNG * PROJECT RUNWAY * PUBLIC SCHOOL * RACHEL ZOE * RALPH LAUREN * REBECCA MINKOFF * REBECCA VALLANCE * REEM ACRA * SKINGRAFT * SON JUNG WAN * SUNO, SUPIMA * TADASHI SHOJI * TAORAY WANG * THE ART INSTITUTE * THOMAS WYLDE * TOME * TOMMY HILFIGER * VIVIENNE HU * VIVIENNE TAM * YIGAL AZROUËL and ZANG TOI. 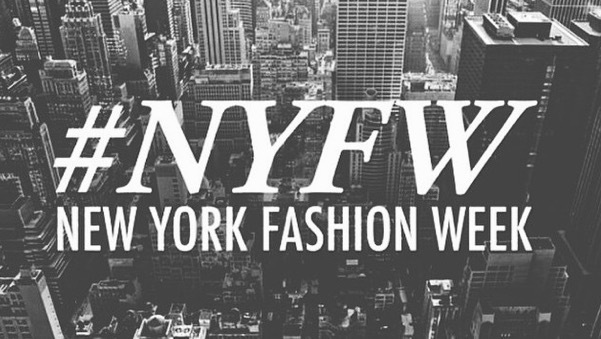 NYFW will be presented in part by Lexus, Maybelline New York, TRESemmé, Intel, DHL and E! Entertainment. MADE will be presented in part by Accenture, American Express, Intel, Lexus, Macy’s, and Maybelline New York. Are you ready? We are! Follow us on instagram @TheStyleSenders #stylesendersgoestonyfw !!! We’re Totally Clutching it – Hot Statement Clutches you Should Be Carrying!